This pamphlet documents an interesting theory of the author's that Amanita muscaria mycelium can be cultivated through a series of simple steps in a clay vessel. His creative thinking and experimental impulse is to be applauded, but it seems that his method results in the growth of mold, not A. muscaria mycelium. We're unaware of any scientific testing of the final product, and would be extremely interested in any such results. 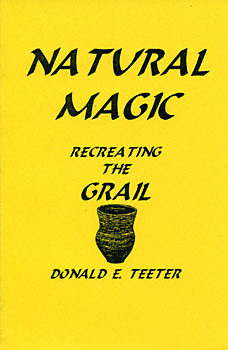 Shows you how to create your own Magic Grail, which will produce the priceless Magic Ambrosia that is the Nectar of the Gods. Learn to make your own Magic cup and drink the psychedelic, antibiotic, antiviral, magical, Ambrosia for the rest of your life for just pennies a dose. The Grail is the msot precious object in the ancient Myths, the knowledge needed to create a Grail was one of the most closely guarded secrets of the ancient world. Donald E. Teeter is the author of The Sacred Secret: The Return of the Christ. The Sacred Secret shows that Amanita Muscaria is the living God of all the ancient western religions including Christianity. In Natural Magic it is proven that Amanita Muscaria is also the source of the Grail Myths.